About a year ago a fellow DJ at KFJC told me about a college radio station in San Jose, KJCC, that I'd never heard of. He was taking part in the broadcasting program at San Jose City College and had happened upon the low power FM radio station there. Ever since that time, a field trip to KJCC had been on my to-do list, so I was excited to finally make the visit this week. I kicked off a whirlwind day of San Francisco Bay Area radio station visits with a stop at San Jose City College station yesterday. 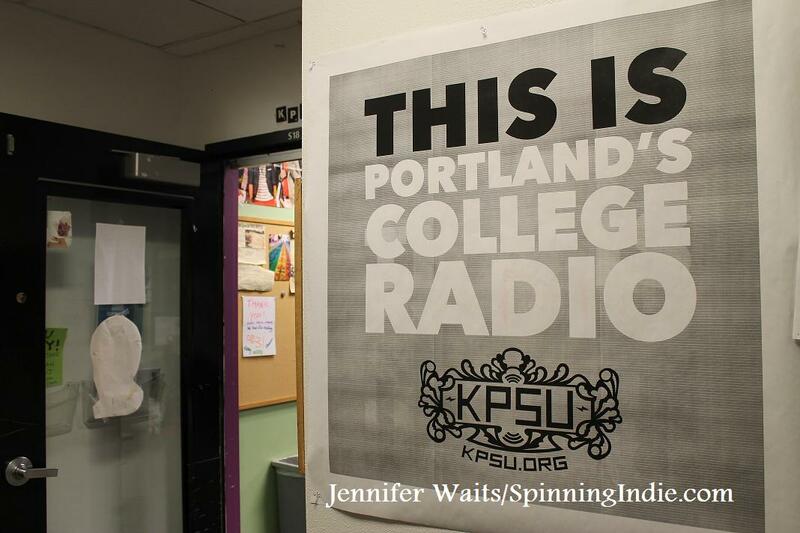 When I was in Portland, Oregon in April, I was fixated on visiting all of the college radio stations in town. 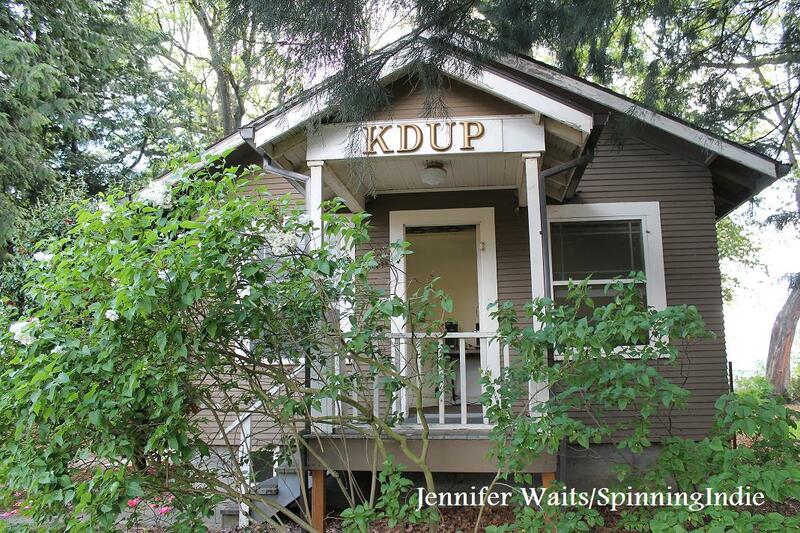 I was able to get in touch with people at Portland State, Reed, and Lewis and Clark, but had no luck reaching anyone at University of Portland's radio station KDUP. Since I had a little bit of time on my last day in town, I decided to take a chance and just drop by the station on my way to the airport on the morning of Sunday, April 28, 2013. I drove to the small, Catholic university and was able to easily locate the station (it's just past a chapel and behind the student center). As I approached KDUP's wooden house, I saw a student walking up to the station. I asked if he worked there and he said "yes." I asked if I could stop by and tour the station and he graciously agreed to let me look around. That student DJ, Will Lyons, just happened to be at the station on the Sunday morning of my visit and invited me in to talk. As we chatted, we could hear the loud Sunday church bells from the nearby chapel. Lyons told me that there are lots of bells and that they ring at 9, 12, 3, and 6, and for mass. He said that they stop after 9:30 or 10:00 at night. 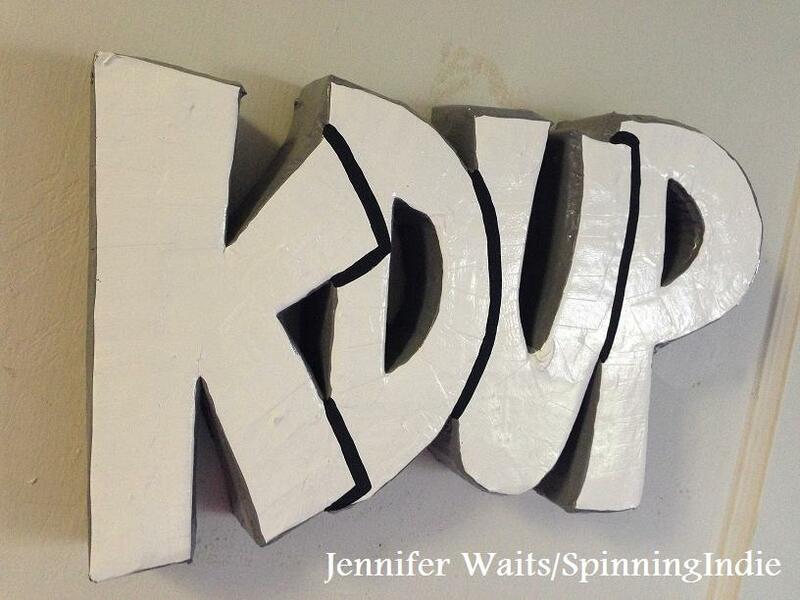 Considering how loud and how close the bells are, I would imagine that the bells can be heard over KDUP at various times of the day if a DJ happens to be on the microphone at the right time. 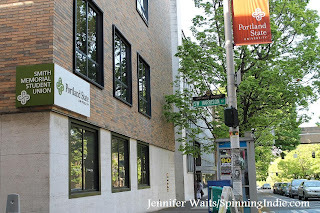 When I was in Portland, Oregon for the fabulous What is Radio? 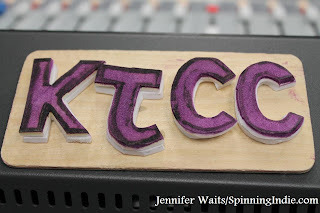 conference in April, I was lucky to be able to arrange for field trips to a handful of college and community radio stations. 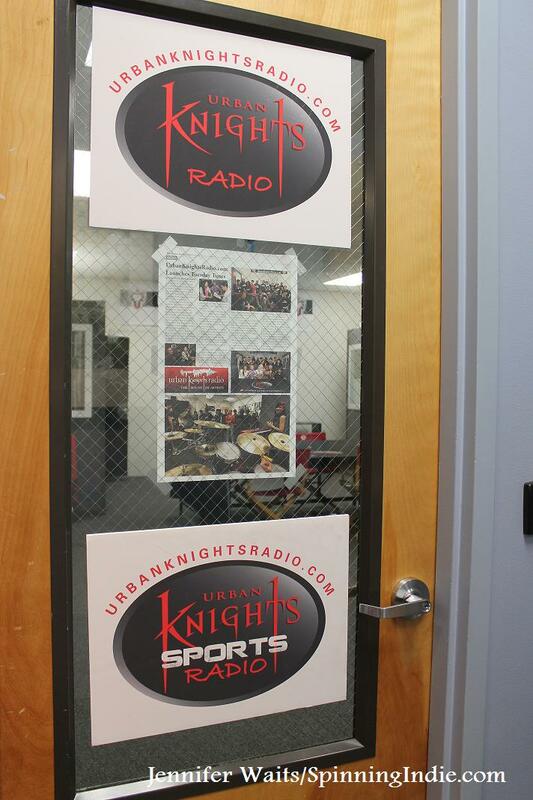 The bulk of my radio station touring happened on Thursday, April 25, right after I arrived in town from the airport. My first visit was to community radio station KBOO (more on that in a future post) and then I journeyed to see college radio stations KLC at Lewis and Clark College and KRRC at Reed College. My final stop for the day was KPSU at Portland State University. The bustling urban setting was quite different from the bucolic environment at KLC and KRRC. 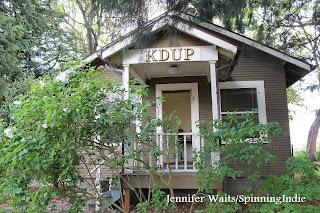 Although the building housing KPSU (the student union) was easy to find on a main street in Portland, the station itself was hidden in a labyrinth-like sub-basement (apparently dubbed "the dungeons" on campus). When I was at the What is Radio? conference in Portland this April, I saw a presentation about a new college radio station at the Academy of Art University in San Francisco. I thought that I'd heard references to this station before, but it didn't really register with me until after I'd seen the presentation. 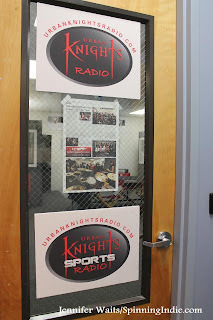 Soon after the event I was put in touch with Matty Staudt, the radio station manager for student radio station Urban Knights Radio and we quickly arranged a time for me to stop by to see the station.